What is Project Angel Wings? Project Angel Wings is a Christian Community Service Initiative between Second Church in Dorchester, The Boston Project, Boston Trinity Academy, and the CrossWalk ministry of Park Street Church in Boston. 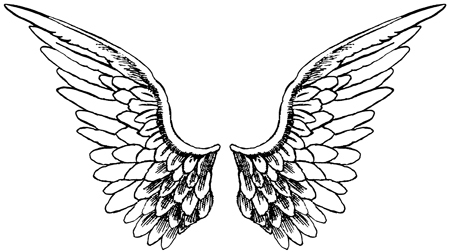 Why name it Project Angel Wings? Almost 200 years ago, Codman Burying Ground was ingeniously designed with walking paths shaped to form an angel. Reverend John Codman, first Pastor of Second Church, is buried at the head of that angel, while the grave markers of many prominent Dorchester citizens from generations past form the graceful angel's wings. In total, Codman Burying Ground spans four acres and is the largest tract of open-space in the Codman Square section of Dorchester. Explore our website and learn more about Project Angel Wings; our achievements and plans for this special property; and how you can even join us. Our Lord Jesus Christ has truly blessed Project Angel Wings. We thank Him not only for the physical transformations He has enabled us to achieve, but the community building opportunities this initiative continues to afford us.